Rogers and Clarke (Warren Beatty and Dustin Hoffman) are two inept songwriters, down on their luck and desperate for money. Taking the advice of their shifty agent, the duo are whisked off on a tour of the mystical republic of Ishtar. On their arrival, our heroes are separately recruited into spying for opposing sides of a planned revolution, while simultaneously vying for the attention of a gorgeous female freedom fighter (Isabelle Adjani). But Clarke and Rogers make worse spies than they do songwriters, and soon they're left stranded in the desert with only a blind camel and several CIA assassins for company. Now you can own the legendary comedy remastered in high definition! $4.331 million on 1139 screens. Virtually as soon as it hit screens in May 1987, Ishtar was viewed as a disaster of epic proportions. It came with a then-enormous budget of $51 million and bombed at the box office. 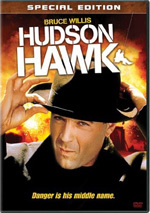 It also suffered from weak reviews and threatened to dent the careers of lead actors Warren Beatty and Dustin Hoffman. Like almost everyone else, I didn’t see Ishtar theatrically, but I did check it out on VHS. If I recall correctly, I couldn’t figure out why it suffered such a dismal fate, as I remember it as a reasonably fun and witty movie. I’ve not watched it since 1987, so this Blu-ray felt like a good time revisit the infamous film. Not-especially-competent songwriting team Lyle Rogers (Beatty) and Chuck Clarke (Hoffman) believe they can sell millions of records if they land an agent. Theatrical representative Marty Freed (Jack Weston) recognizes their lack of talent but feels sorry for them, so he sends them to Morocco. The nearby realm of Ishtar comes close to revolution, though some believe a pair of redeemers will arrive to make everything right. Archaeologist’s assistant Omar (JC Cutler) discovers a map that would aid in this effort and hides it before insurgents kill him. He lets his sister Shirra (Isabelle Adjani) know about the map and launches her on a quest, one that leads her to discover Chuck and Lyle at the airport. From there we follow their adventures as they become embroiled in this escapade. While I’d love to claim that Ishtar got a bad rap in 1987 and delivers some kind of misjudged classic, I can’t do so, mainly because I don’t like to lie. There’s nothing here that ever rises to a level of “pretty goodness”, much less greatness. On the other hand, I can state without question that Ishtar doesn’t deserve its awful reputation. Unlike Howard the Duck - another big-budget bomb from the era – this isn’t a bad film. It might’ve tanked at the box office, but it never becomes something groan-worthy as a creative enterprise. It just winds up in that great netherworld of movies that are perfectly okay but never better – or worse – than that. Perhaps that makes Ishtar “bad” given the talent involved. In addition to Hoffman and Beatty, the cast features solid actors such as Weston, Carol Kane and Charles Grodin. Comedy legend Elaine May wrote and directed it, so one can see why it came with a high level of expectations – and thus found disappointment and scorn from those who figured greatness would result from such high-level participants. Through that prism, Ishtar can be seen as a dud, but viewed on its own mertis – free from any baggage – the film can entertain. At times. Occasionally. If you don’t expect too much from it. Make no mistake: whatever charms emerge from Ishtar remain small. This isn’t a real “laugh out loud” kind of movie, as its periodic moments of amusement end up as light chuckles, not guffaws. I don’t mind that terribly, as I’m fine with the low-key, wry humor the movie prefers, but even so, it’d be nice to get more mirth along the way. Essentially an homage to the “Road” movies of Crosby and Hope, we also see some Abbott and Costello on display. Beatty and Hoffman don’t threaten to become another classic comedic pair, but they do fairly well together. I admit I like the role reversal on display, as it’s somewhat amusing to see legendary ladykiller Beatty cast as utterly inept in that domain – and the much less attractive Hoffman painted as the suave one. The actors combine to form a likable duo and add some charm to the film. Unfortunately, they can’t overcome the movie’s structural flaws. The first act introduces us to the leads in a long-winded manner, as it uses flashbacks to tell us how they came together. Some of that would be fine, but the end result rambles far too long. The same goes for much of the rest of the movie as well. Ishtar delivers a fairly slight plot that becomes extended past the breaking point. When it involves schemes and war and special agents, it loses its thread and turns into something unwieldy. May doesn’t seem like the right person for a big action-comedy, and she doesn’t know how to handle those sequences. She can’t even make us understand why they exist, really. All of this leaves us with a thin narrative stretched too far, for even at a relatively brief 105 minutes, Ishtar feels too long. As a result, the viewer probably loses interest well before the movie’s conclusion arrives. I must admit I can’t figure out how Ishtar cost $51 million, as little of that money shows up on screen. Maybe the actors demanded huge salaries, or maybe they shot in Morocco and that jacked up the bills – I don’t know. Whatever the case, the results fail to show up onscreen, as Ishtar never looks like an “expensive movie”. Indeed, it feels like something they could’ve made on backlots and saved a lot of cash. 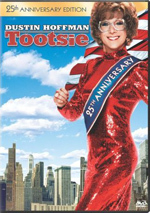 Still, the Beatty/Hoffman duo can charm, and the film manages enough humor to make it moderately watchable. In no way can I classify this as a stinker, but I just can’t find any reason to recommend it, either. Ishtar remains a slight, occasionally enjoyable piece of fluff. Note that the Blu-ray provides a Director’s Cut of Ishtar. This version runs two minutes shorter than the 1987 theatrical edition. I have no idea how they differ, as the disc lacks supplements to explain the changes. 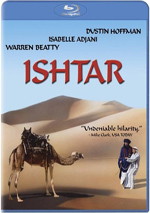 Ishtar appears in an aspect ratio of approximately 1.85:1 on this Blu-Ray Disc. Overall, the movie demonstrated mostly appealing visuals. Sharpness appeared fairly crisp and accurate. Occasional wide shots showed softness, but those instances didn’t come up frequently; for the most part, the movie presented a relatively well-defined image. Moiré effects and jagged edges offered no problems, and no edge haloes materialized. I didn’t detect any prominent noise reduction, and the clean presentation lacked print flaws. Colors appeared reasonably peppy and accurate throughout the movie. Some shots exhibited the murkiness typical of 80s stocks, but the hues were usually fine. Black levels seemed deep, and shadow detail was positive. Given its age, I felt pleased with this image. Don’t expect a lot from the film’s remixed DTS-HD MA 5.1 soundtrack, as it didn’t do much to expand the original monaural audio (which also appeared on the disc). Much of the material remained centered, so the information expanded on an inconsistent basis. Music showed mediocre imaging without any obvious stereo presence, and effects tended to broaden the spectrum without a ton of localization; some elements showed up in specific spots, but most ended up in vague places. The surrounds didn’t add much to the experience. They added general reinforcement in the rear but not much more. If any scenes used the surrounds to significant impact, I didn’t notice them. Audio quality was decent for its age. Speech fared best, as the lines appeared pretty natural and concise; no edginess or other flaws interfered. Music tended to be somewhat boomy and loose, and effects were a bit up and down; some of those elements sounded accurate, while others could be lackluster. This wasn’t a bad track but it seemed average for its era. The disc includes previews for Before Midnight, Love Is All You Need, Breakout, Magic Magic and Stranger Within. No trailer for Ishtar - or any other extras – can be found here. While Ishtar doesn’t deserve its reputation as one of the all-time movie stinkers, it also doesn’t merit reappraisal as a comedy classic. A slight, mediocre experience, it would’ve been forgotten decades ago were it not for the talent and budget involved. The Blu-ray comes with good picture, average audio and no bonus features. Ishtar might be worth a look as a curiosity, but it’s a pretty ordinary film.